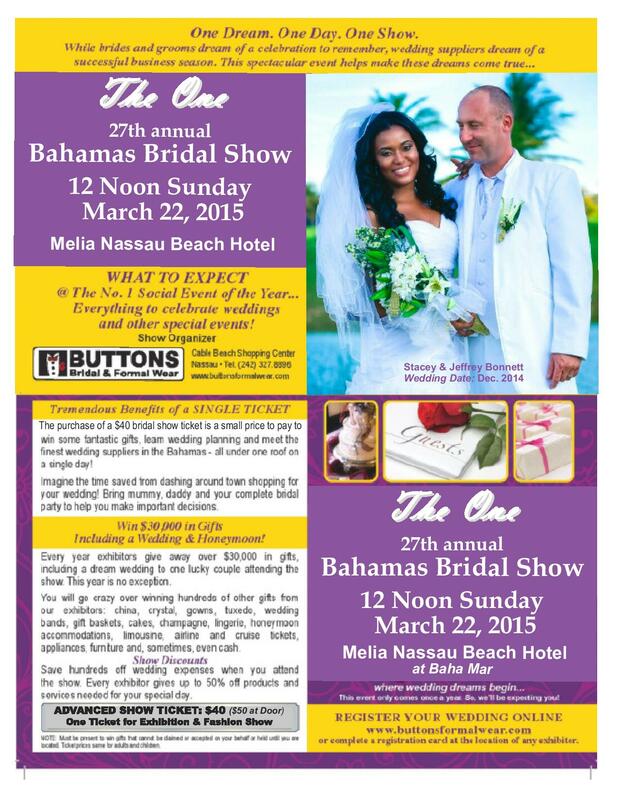 Couples planning a wedding soon are invited to complete the Bride- and Groom-to-be Registration form (found on the CONTACT US page) which makes you eligible to win over $30,000 in gifts donated by many exhibitors of the annual Bahamas Bridal Show. Your presence at the show is a must to win most gifts. Held annually between March and April, this event is hosted by Buttons Formal Wear and includes an exhibition featuring beautiful and creative business displays, sampling cake, food and champagne and wedding demonstrations and games. A fashion show, which ends the activities, features fabulous wedding and special occasion gowns, tuxedos, honeymoon clothing and lingerie. 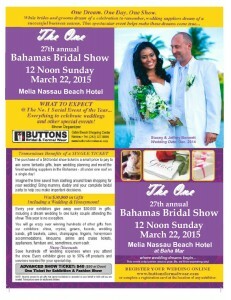 Tickets are $40 and can be purchased from Buttons Bridal & Formal Wear in Cable Beach. One registration per couple. 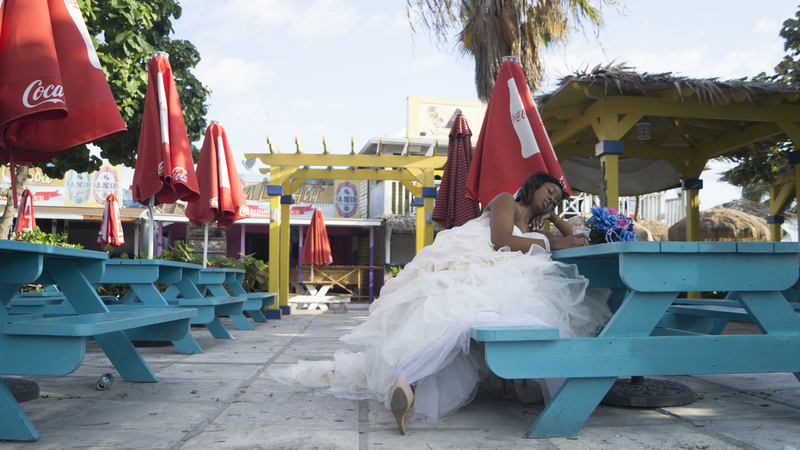 Most suppliers will contact you after the show to offer products and services for your wedding, social event and new home. 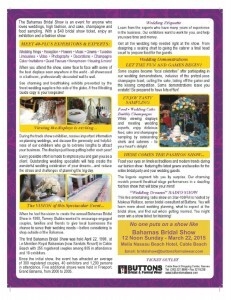 You will also receive valuable information and tips for planning your celebration.